Advance pricing table is a highly customizable , most advance , very easy and light weight WordPress Pricing Table Plugin. Very easy to use and fully mobile device responsive. Supported with all kind of WordPress Themes. Unlimited Column for pricing plan. 3 different theme for differet style pricing table. Developer friendly and easy to customize. Advance drag n drop shortcode builder in editor. 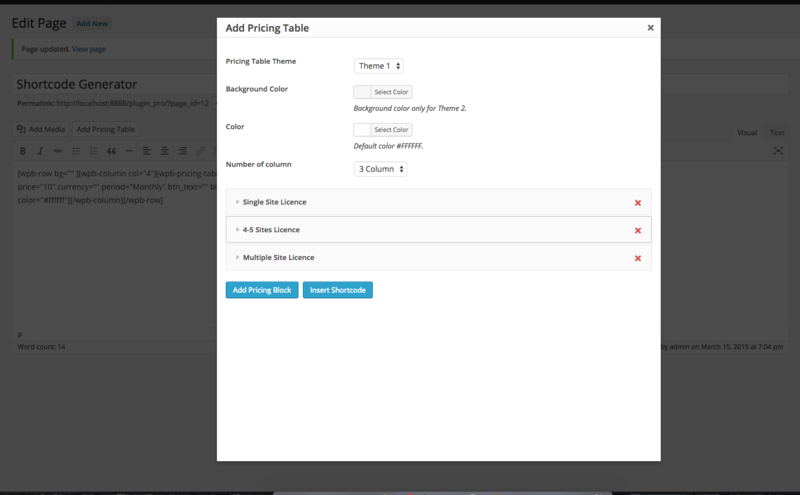 Visual Composer Support with custom pricing table element. Installation : Watch the following video to learn how to install this plugin.